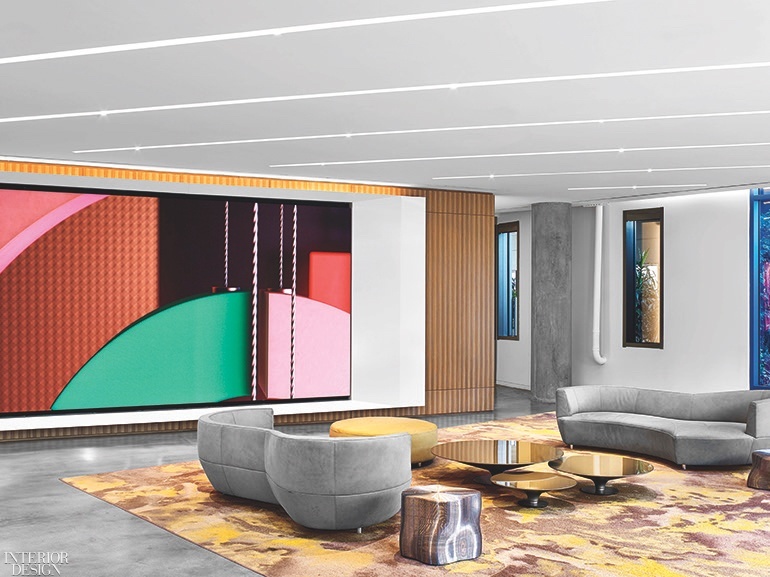 Near conference rooms, a lounge centers on a table by Marc Thorpe Design. 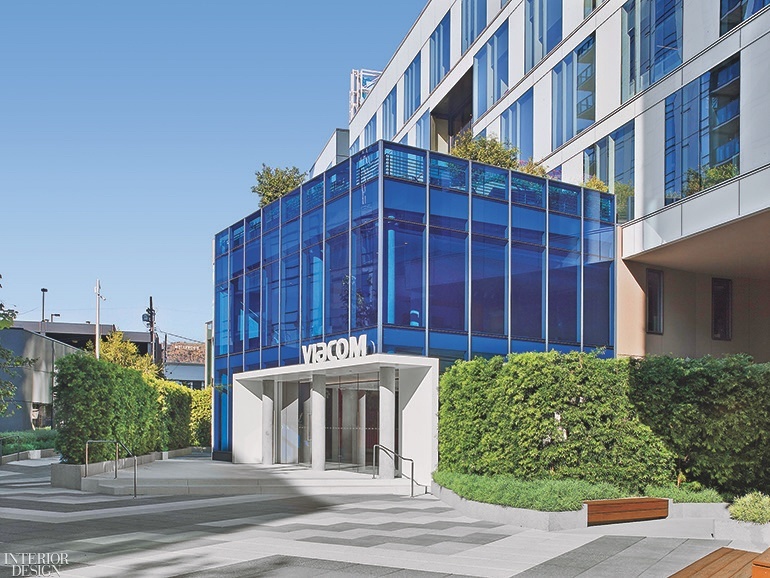 Laminated glass encloses the main presentation room. 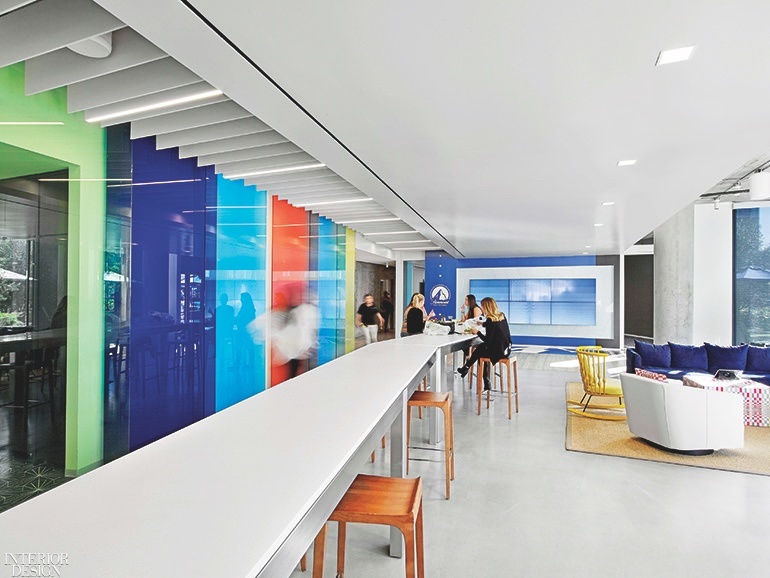 From reception, a painted steel staircase rises past an MDF slat wall washed by LEDs. 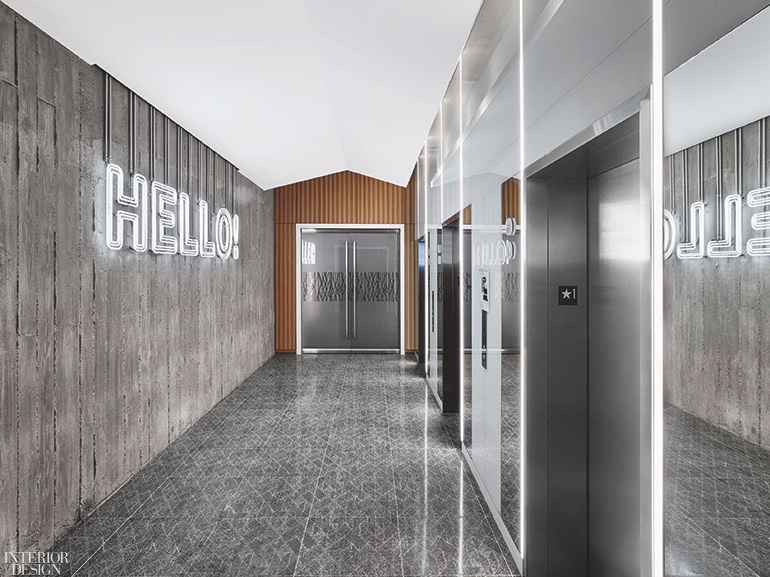 Neon signage in the ground level’s elevator lobby is custom. 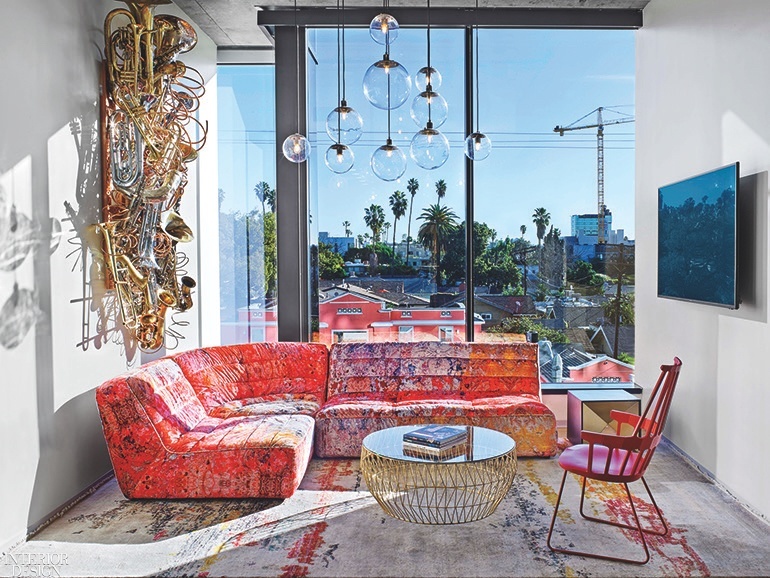 Orchestral Cacophony by Novo Arts overlooks a Timothy Oulton sofa and a Patricia Urquiola rocker in a lounge. 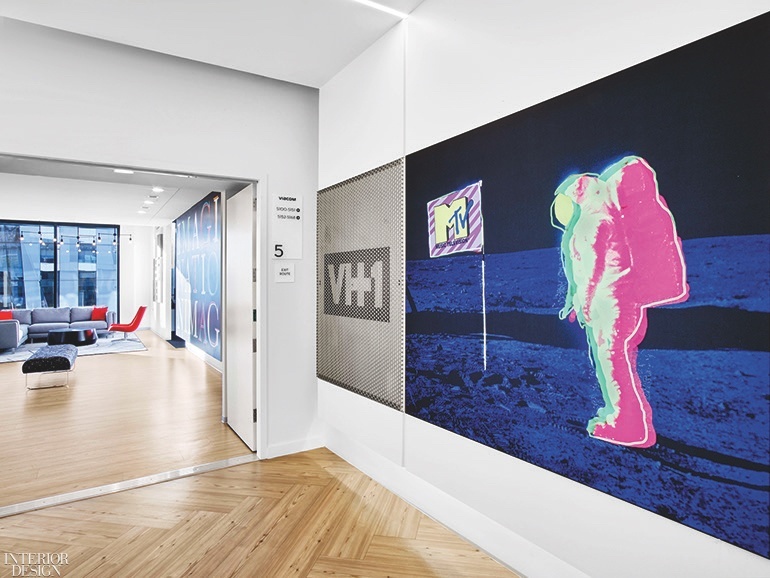 In an elevator lobby, MTV’s logo appears on fabric stretched over a light box. 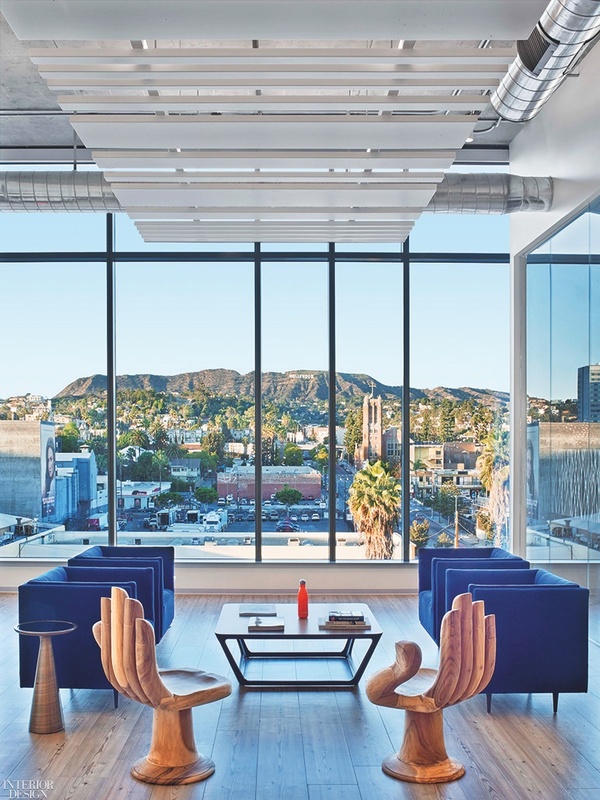 Changing arrays of framed posters face office areas with sit-stand workstations by Charles Rozier and Robert Reuter. 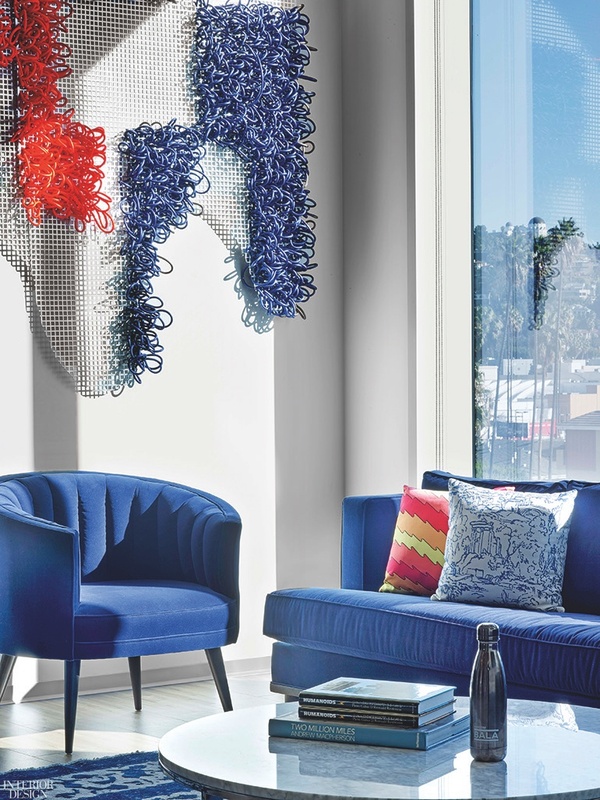 Rubber tubing and a painted steel grid compose Novo Arts’s Digital Weaving, installed in a lounge. 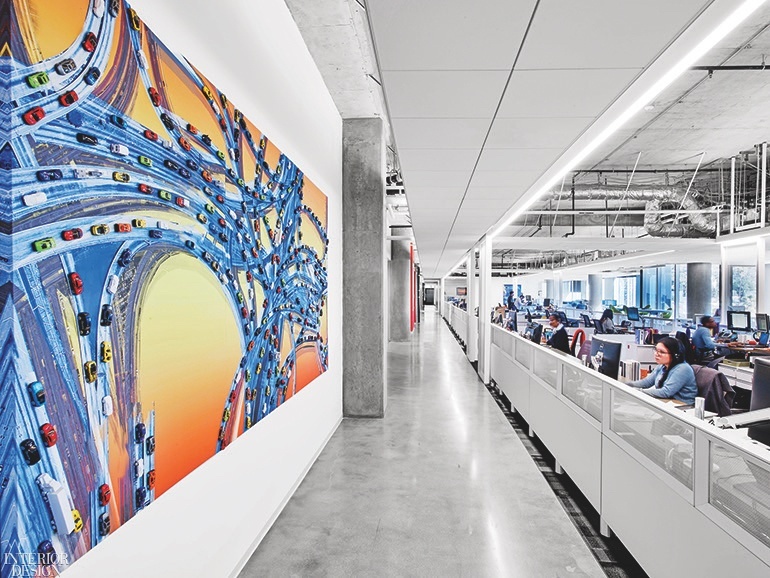 In a corridor, Novo Arts affixed toy cars to a photographic print for Highways. 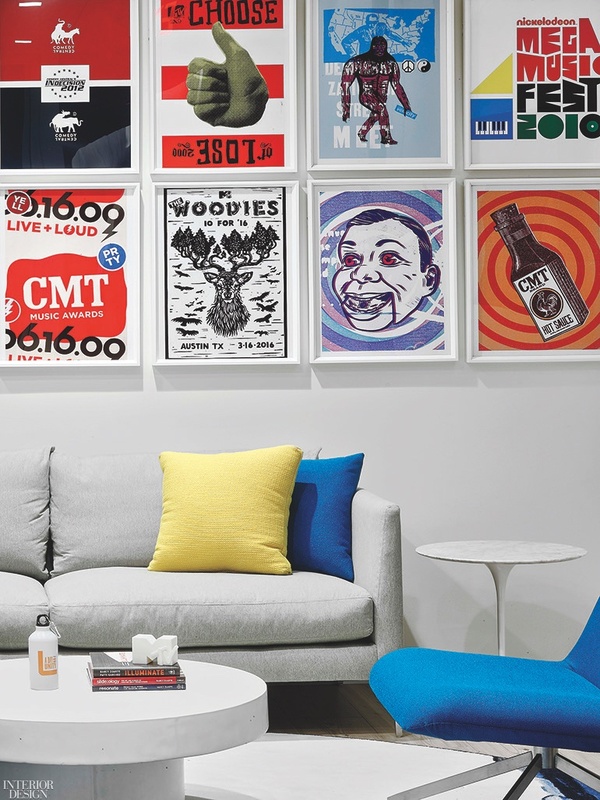 Eero Saarinen’s side table stands beneath artwork by Viacom creatives in a break-out area. 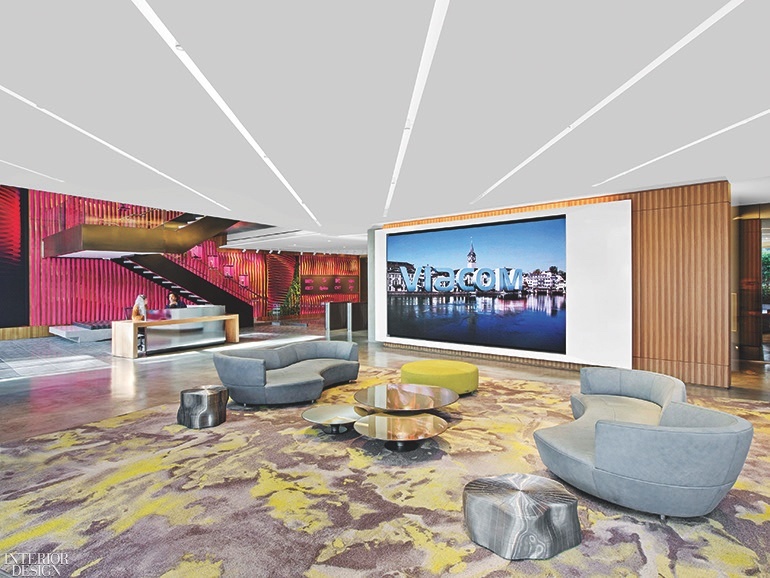 LED panels form different messages behind tinted glass in the lobby. 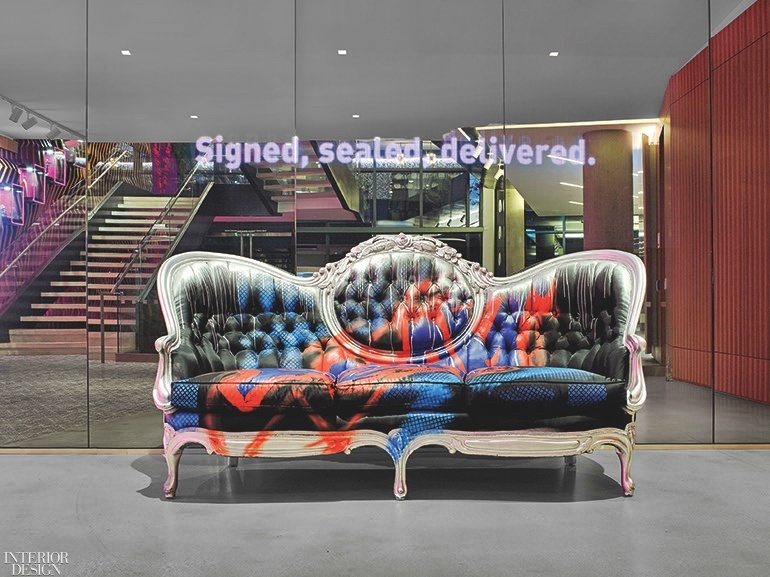 Stools by Erika Kövesdi line the café’s 35-foot-long counter, composed of five ganged segments in solid-surfacing and brushed stainless steel.